I am delighted to announce that Angela Haydel DeBarger is joining us as a program officer in the Education Program, where she will lead our deeper learning portfolio that supports organizations working to build rigorous academic content, critical thinking, and collaborative learning in kindergarten through twelfth grade schools in the U.S. Angela brings more than 15 years of experience developing evidence-based approaches to increase equitable learning practices and outcomes. Angela comes to us from the George Lucas Educational Foundation, where she served as a senior program officer managing teams to create and study project-based learning to promote deeper learning. She has a deep understanding of how to build and sustain programs that incorporate rigorous learning goals and respond to students’ diverse needs and interests. In a previous position as a senior researcher at SRI International, Angela provided teachers and students information they were able to use to increase and promote deeper learning. She also designed principles and approaches to measure deeper learning outcomes. Both the George Lucas Educational Foundation and SRI International receive grants from the Hewlett Foundation’s Education Program. Angela’s interactions with Hewlett program officers TJ Bliss, Marc Chun, and Denis Udall spurred her to explore connections between deeper learning and open educational resources, which the foundation also supports to provide teachers and students free and equal access to openly licensed educational materials. Angela holds a bachelor’s degree from Stanford University and a master’s degree from the University of Michigan, both in psychology. She also has a doctorate in educational psychology from Stanford University. She has professional affiliations with the American Educational Research Association, the International Society of the Learning Sciences, and the National Science Teachers Association. 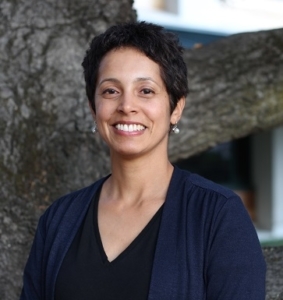 We are excited for Angela to bring her broad and deep experience among researchers, practitioners, and other funders to help our grantees—and the students they serve—succeed in the years ahead. We look forward to introducing you to Angela in person as soon as we can.